What is a Delta certificate? Which certification should I choose? Will it make a difference to my career? 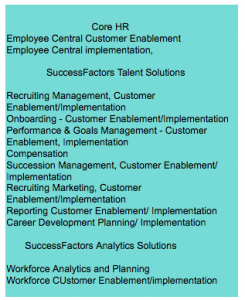 These are some of the questions I often hear when speaking with SAP SuccessFactors consultants. To my knowledge of the market, there is huge demand for SAP SuccessFactors consultants of any level; junior, semi-senior, senior and even experts in HCM Integrations for SAP on-premise systems, so to ensure you find the best and most well-paid projects, it’s really important to keep your SuccessFactors knowledge up to date. Introducing the Delta certifications through the K2 SAP Learning Hub Platform – the cloud-based platform where you can get unlimited access to all of the SAP training modules, anytime, anywhere and with easy access across any device for 12 months. Once you receive your SuccessFactors Associate Certification, an alert in the SAP Credential Manager will show you as certified, and you will able to access the next Delta exams as soon as they become available. Remember the new Delta examinations from SAP are quarterly, so be sure to complete them by the next deadline! Feel free to reach out to me anytime for career advice and to find out more about the Delta certifications and learning journeys available. 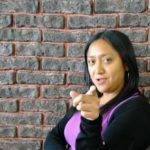 Marissa Rico, K2 Konnect Project Manager and K2 University Career Advisor specialising in SAP Learning Hub.